On Friday, cops and soldiers will get to see Bernthal’s latest effort to make good on that promise. He first appeared as the character in the second season of Daredevil, and November 17 will see the debut of his solo Netflix show, The Punisher. 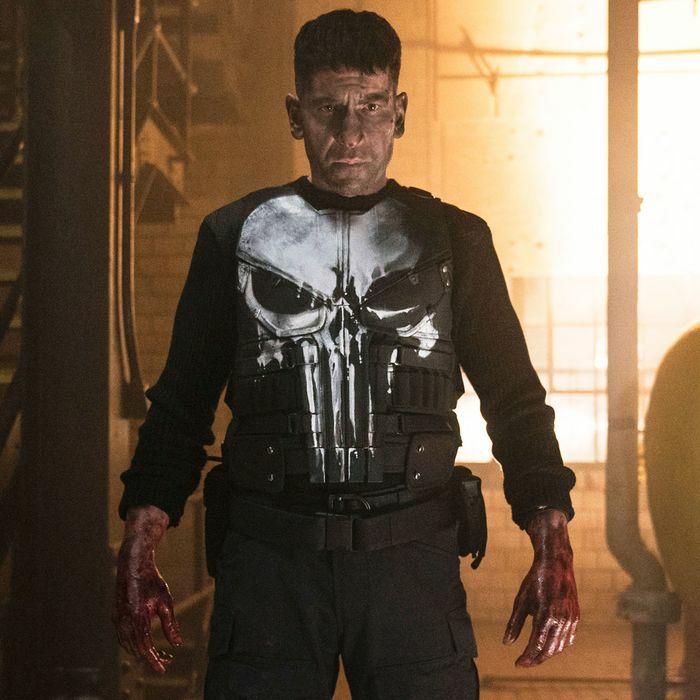 It follows the tribulations of its titular antihero, an embittered former Marine named Frank Castle, who uses his talents to lethally take down wrongdoers in the wake of the murder of his wife and children. If you’re innocent, he’s your protector; if you’re guilty, make peace with your god. Welcome to the world of uniformed Punisher fans. As far as fandoms go, it’s a controversial one. The character and his iconography are totemic for many cops and soldiers, especially in the past decade and a half, a period that tracks with the rise of post-9/11 militarization and an increased visibility for the Punisher in the form of two movies and several iconic comics stories. The late Chris Kyle, the famed Navy SEAL sniper who was the subject of American Sniper, crowed in his memoir that his unit nicknamed themselves “the Punishers” and painted the skull on their equipment. Police officers in Wisconsin, Kentucky, and central New York have all appropriated the Punisher. Google searches turn up a bevy of Punisher-themed apparel, stickers, and accessories aimed at stoking pride for the military and boys in blue. The symbolism has even trickled down to American-trained Iraqi security forces and militias. “Obviously, if the Punisher was a real person and did the stuff he did, there would be people who get hurt, innocents,” says Adam, an Army veteran who requested anonymity. “If you say he went into a drug neighborhood and killed all the drug dealers, would that make that neighborhood better? Yeah, it might, but there’s somebody else to step up and take their place.” Adam thinks members of the military gravitate toward the character not because they want to emulate his tactics in real life, but because they share his aims of discipline and freedom. “Punisher, in a fantasy-type way, that’s the badass guy you want to be. You don’t have no rules you have to follow or anything. It’s just your own moral code,” he says.